Bihar is without any doubt one of the most populous states in India. Like other places in India, here too the election commission gives the right of voting to every person over the age of 18. But to get the voting right, the most important thing which one needs is a Voter ID card. 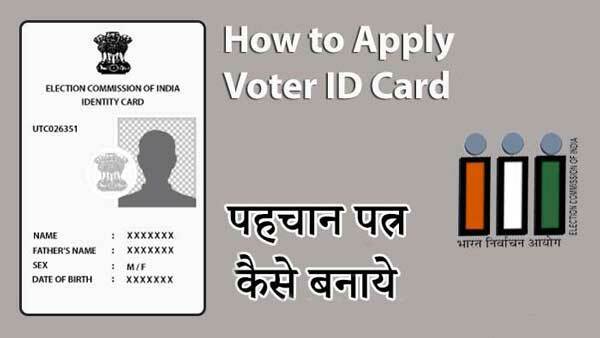 Not only for the voting purpose but the voter id card is also used as address and identity proof. To get a voter card in Patna, Gaya, Bhagalpur, Muzaffarpur, Bihar, there are both online and offline processes, which are mentioned below in details. Visit the official website of the Chief Electoral Officer or you can just click on the link https://www.bihar.gov.in/election. There you will find the option, ‘Citizen Service/ Online Registration’. Click on it. A new page will open on your screen where you will find the Form No. 6 (The application form for new applicants). Fill up the form with all the required details along with your email id and mobile number. After submitting the registration form, you will get an SMS in your mobile number with a code to complete the registration process. After the registration is done, you will get the access to the application forms. Now, fill the application form for new voter id card and upload all the required documents with it. The list of documents is there on the website. After doing that submit the form. When you had finished the submission, you will get a reference number which will help you in tracking your voter id card online. For verification, a Booth Level Officer will visit your house. When all the information is verified, you will get the voter id card by post. You have to visit the Electoral Office and ask for Form No. 6. Fill it properly with correct information and attach all the required documents like passport or Aadhaar card. After filling it, submit the form. Don’t forget to take the reference number as it will help you in tracking the application. Your house will be visited by a Booth Level Officer, who will do the verifications of your submitted documents. If all goes fine, you will get the voter id card by post.